If you would like to speak with someone about buying your next home or you have questions, please contact us. Our Buyers Page offers information and answers to some of the most frequently asked questions from buyers. 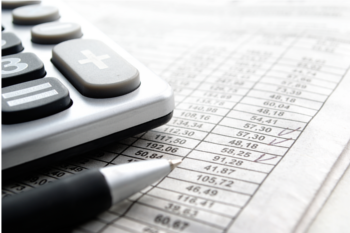 How do I determine my budget when buying a home? What is the best way to determine what condition a home is in once I decide I am interested? I want to make an offer that is lower than the asking price. How low can I go? What can I negotiate and how do I do so? How do I get a home loan? What is the first step? Can I negotiate for a better interest rate on my home loan? What should I know about my down payment? What is title insurance and how does it affect my home purchase? Should I buy a brand new house or one that was previously owned? Are fixer-uppers a good value? Can money to upgrade a house be obtained through a loan? How do I benefit from improvements I make in a home? Is it a good idea to buy a foreclosure home? What should I know about working with a real estate REALTOR®? Question 1: How do I determine my budget when buying a home? Regardless what you think you can afford, it is ultimately up to the lender to decide what size loan is available. Likewise, a lender qualifying you for a certain amount does not mean you are required to buy a home for that price. 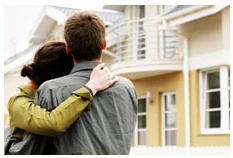 You need to decide what is best for you and your family, once the lender makes an offer. Lenders analyze household income in relation to the cost of a home and a homebuyer’s current debt load. Expense-to-income or debt-to-income ratio is determined by calculating the projected monthly expenses, including principal and interest on the mortgage, plus property taxes, insurance costs, and if necessary, HOA dues and private mortgage insurance. The final amount is the PITI and it should be no more than 28% of your gross monthly income. Ideally, the total debt-to-income ratio for a homebuyer, including home costs and other debts, should not exceed 38%. This means if a homebuyer is turned down for a loan, it could be beneficial to search for a less expensive home, pay down existing debt, or do a combination of both. Question 2: What is the best way to determine what condition a home is in once I decide I am interested? Homebuyers are encouraged to schedule a professional inspection of any home in which they are interested. Choosing a home inspector who is a member of the American Society of Home Inspectors (ASHI) ensures you are working with someone who is up-to-date on the latest developments and fully qualified to give a stamp of approval on a home. Another tool some states offer to homebuyers to put their concerns at rest is a seller’s disclosure. This form requires home sellers to list any defects or malfunctions they know exist in their home. There is a checklist for various areas of the home including roofing, insulation, exterior and interior walls, windows, sidewalks, floors, doors, foundation, and electrical and plumbing systems. The form also addresses issues related to environment, zoning, easements, permits, and citations. If these areas are checked off as fully functioning, the seller is legally responsible for any problems that might arise that were clearly an issue prior to the sale. There are additional safeguards for buyers interested in condominiums. Sellers must share information about codes, restrictions, covenants, and any other powers of the condo owner’s association so buyers understand their limitations and responsibilities prior to buying. Question 3: I want to make an offer that is lower than the asking price. How low can I go? Question 4: What can I negotiate and how do I do so? What is negotiable varies from seller to seller. If the intention is to haggle a bit, a seller will set the sales price high and be willing to negotiate various aspects of the sale. If a seller simply wants to sell and move on, the sales price will be set firmly and little negotiations will take place. In rare instances, sellers set their sales price low in hopes of triggering a bidding war. As a buyer, you must determine where a house falls on this spectrum. There are a few ways to do this. First, you can simply ask the seller’s agent. If you know the seller’s motivation and intentions, you will know where you stand. If a person wants to move quickly because of work or family issues, you can make a lower offer. However, if a seller is downsizing into a rental because of retirement, he or she has the benefit of time. Knowing the personal circumstances of a seller can come in handy when determining your offer price. Another way to determine the seller’s intentions is to make an offer. Regardless whether the offer is low, high, or right at the listing price, the reaction of the seller will indicate where to move from that point forward. Also remember the listing price is not the only thing that can be negotiated, as mentioned above. The price of the house can be stretched across the length of the mortgage, but if maintenance is needed immediately, the cost will be out-of-pocket immediately for you. Question 5: How do I get a home loan? What is the first step? Securing a home loan is an intimidating task, especially if you have never done it before. The world of lending and mortgages and interest rates can be very confusing when you are first thinking of buying a home. Luckily, if you take the process step-by-step, it becomes a little easier. Before you begin looking at homes, get pre-qualified or pre-approved for a mortgage. This accomplishes a couple of things. First, it provides an amount of money for which you are eligible to borrow, so you know what types of homes to consider. Second, pre-approval makes you a more appealing candidate to home sellers. They do not need to worry about you being turned down for a loan if they agree to sell to you. Keep in mind pre-qualification does not guarantee a loan, but it does mean you stand a strong chance of approval, provided you have given honest information during the pre-approval process. The process of pre-approval should be free of charge (there might be a fee to pull your credit report) and does not lock you into getting a loan. It is merely an information gathering exercise for both parties. You learn how you qualify to borrow for a home and the mortgage lender gathers your information so they can reach you out to you in the future with offers. Pre-approval also speeds along the buying process. Since the mortgage lender has a great deal of information already, officially applying for the home loan will be quicker and easier. Question 6: Can I negotiate for a better interest rate on my home loan? Absolutely, and you should. Not only can you negotiate with a specific lender, you can shop around to find the best rate for the best lender. Remember your credit and debt-to-income ratio play an important role in how much room you have to negotiate. Mortgage companies are usually willing to negotiate a loan’s interest rate and the number of points on the loan, if any. Larger lenders are less likely to negotiate, though there might be some wiggle room for buyers with the best circumstances. Some buyers find that mortgages that involve seller financing have more room for negotiation. Also share with a potential lender if you have been given a better offer from another loan company. Just be sure that offer exists in case you are turned down for the lower rate. Question 7: What should I know about my down payment? Various types of loans require different down payments. Usually, mortgages require about 3 to 5% down, but it is possible for some people to buy with no money down. For instance, military veterans might be eligible for a mortgage with no down payment. In most cases, it makes more sense to put as little as possible down because there are advantages to owing money on a mortgage. Mortgage interest (which is higher with a lower down payment) and property taxes are deductible on both state and federal income taxes. Putting less down also gives you wiggle room with cash, should upgrades or repairs be needed in the home. Keep in mind mortgage insurance might be required in some cases if a down payment is less than 20%.This amount is calculated into the closing costs, as well as over the course of the monthly mortgage payment. Question 8: What is title insurance and how does it affect my home purchase? Title insurance is used to protect the owner, lessee, mortgage or holder of an estate lien, or other interest of a real property. It protects against loss equivalent to the value of the policy, provided there is an issue outlined in the policy, warranties of title, or defects in liens or titles. Additional coverage can also be added to a policy. The insured is also protected against the cost of defending the insured estate. Prior to issuing a title policy, the title insurance company will perform a search and examine the legal records associated with a property. The property must be clean before the sale can be completed. Unfortunately, the search is not always enough to unveil title defects or claims. Hidden risks on a title include forgery, fraud, alteration of paperwork, misreported marital status, impersonation of another person, or inadequate lack of powers. Some states require buyers to be informed of title insurance options prior to the sale of a home. To determine whether and how much title insurance is required for the purchase of your home, speak with your real estate agent and mortgage broker about your circumstances. Question 9: Should I buy a brand new house or one that was previously owned? There is really no right or wrong answer to this question. Buyers should shop for the home that is ideal for their circumstances and has as many features as they want in a home in their price range. There are pros and cons to buying new and to buying used. The price of either will depend on the current housing market and the location of the house. Some buyers believe buying a new home in a yet-to-be-established community can be a risky gamble. However, others believe new homes are better because everything in the home is new and likely under some kind of warranty. Ultimately, the buyer must decide what makes him or her more comfortable and what specific advantages there are to buying new or used in a certain community. Question 10: Are fixer-uppers a good value? Again, the answer to this varies from person to person. Fixer-uppers, or homes that need maintenance (both significant and cosmetic) are located just about everywhere. They are typically priced to sell, though many factors must be considered. The price tag is often enough to get the attention of a seller, but it is important to determine how much is saved in the long run. If you end up paying more for repairs and maintenance, there is really no financial benefit to buying a fixer-upper. Fixer-uppers are ideal for buyers that have some knowledge about home repairs and are willing to put in the “elbow grease” to make the repairs on the own. This increases the value of the home and keeps the financial investment low. The one advantage some buyers have when it comes to fixer-uppers is time. If they intend to stay in their home for several years and can stretch out the cost of the repairs over time, they might see the overall value of their home appreciate with the growing market, as well as with their repairs. Just remember a fixer-upper is a big commitment. Be sure you are ready to take on the job and do not be lured in by the temptation of a low selling price. Question 11: Can money to upgrade a house be obtained through a loan? There are loan programs available that allow buyers to borrow the money needed to rehabilitate a home. However, there are certain qualifications that must be met before a buyer can rely on this money. The HUD Rehabilitation Loan Program, Section 203(K) is designed to help with major structural rehabilitation in houses that are more than a year old and provide housing for one to four families. This loan can be paired with a traditional mortgage when a buyer chooses a fixer-upper or as a rehab-only loan when no mortgage is needed. In order to secure this HUD loan, buyers must put 3 to 5% down if they plan to live in the home and 15% if they are merely investors. There is also a minimum requirement of $5000 to be spent on improvements. The loan requires two appraisals of the property as repaired and plans for the work must be submitted prior to the loan’s approval. Question 12: How do I benefit from improvements I make in a home? Aside from living in a space that is more functional and comfortable, home improvements give buyers a financial return on their investment. Remodeling a home makes it more appealing to future buyers, so the home will be easier to sell and fetch a higher sales price when you decide to move. The most popular improvements that appeal to buyers include modern bathrooms and kitchens, large master suites with en suite bathrooms, and home offices. The housing market changes over time, so before making any significant upgrades, research what is currently popular and determine how much of the upgrade is for you and your life in your home, and how much is to improve the home’s overall value. Much of this decision depends on how long you plan to live in a home. Question 13: Is it a good idea to buy a foreclosure home? The foreclosure market ebbs and flows, but whenever there is a boom in foreclosures, people begin to question whether or not a foreclosure is a good investment. It is certainly possible to get a great deal on a home in foreclosure. However, buying a foreclosed home does have risks. The process of buying a foreclosure is difficult. If a home is purchased directly at a legal foreclosure sale, buyers cannot secure financing. The entire cost of a home must be paid in cash. The property is sold as-is, so the buyer is on the hook for any repairs needed. Many states do not require sellers of foreclosures to disclose either, so there is no telling what problems or issues exist until after ownership of the property is assumed. The title must also be checked before the purchase or the buyer could end up with a deficient title. There are instances in which foreclosures offer a great bargain, but it is important for sellers to understand the foreclosure market in advance. Do not automatically assume a great price on a foreclosed home is a smart move when buying. Question 14: What should I know about working with a real estate agent? In most cases, the REALTOR® will need to disclose all possible agency relationships before entering into a transaction. What else should you know about the buyer-seller-agency relationship? 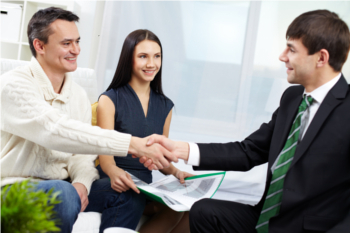 Traditionally, REALTORS® have a fiduciary relationship to the seller. The seller pays the commission of both the buyer and seller agents. This means in many cases a buyer can work with an agent for free, though the agent does get a commission when a house is sold. Also understand that if you are buying and selling a home, you will be responsible for paying your selling agent (which will likely also be your buying agent), as well as the agent of your home’s buyer. Dual agency is an option, but it comes with the risk of conflict of interest. If a listing REALTOR® is aware of another buyer’s offer, he or she can not disclose to the buyer that the seller will accept less than the list price or to the seller that the buyer is willing to pay more than the offer price. He or she must feign ignorance during the negotiation process, which can be difficult. It is possible for a buyer to hire a REALTOR® who will work exclusively for him or her. A buyer’s REALTOR® often charges a retainer that is refundable once a home is purchased. This prevents non-committal buyers from wasting an agent’s time. Buyers’ agents offer enhanced services and keep all information discussed with the buyer confidential during the negotiation process. If you have additional questions that have not be answered above or you are ready to begin shopping for a home, contact us.